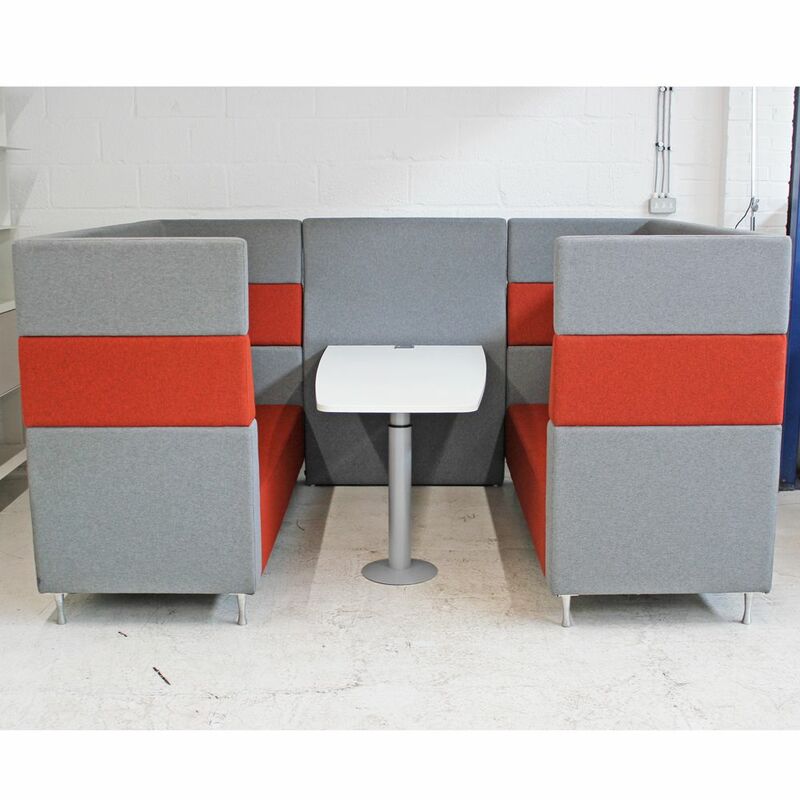 The Evo Plus High Back pod combines style and comfort with the modern movement for privacy within open-plan offices. 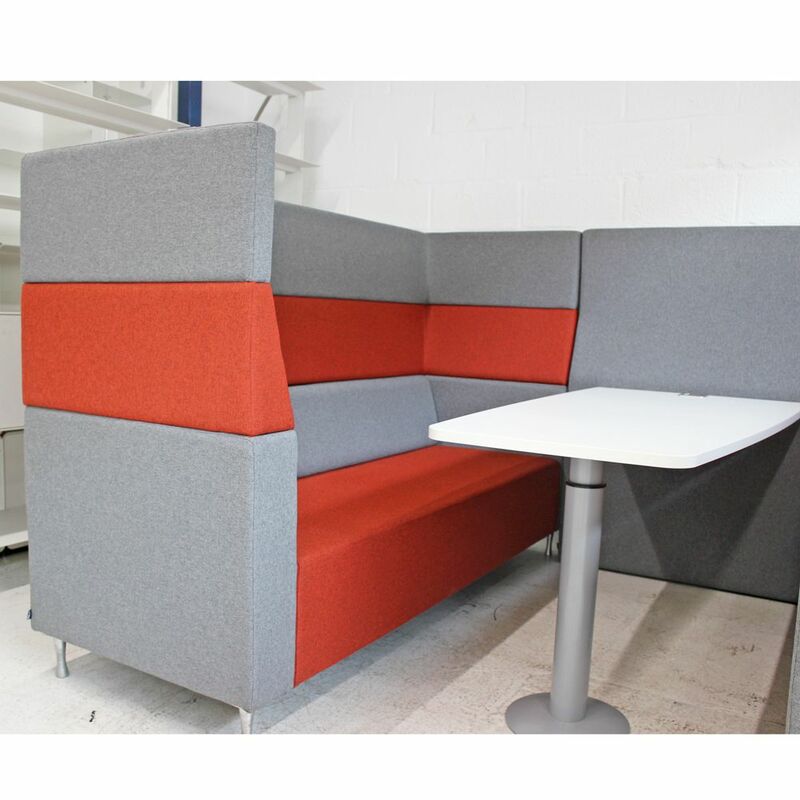 Its modular form allows an informal, relaxed and aesthetically pleasing working or social area. 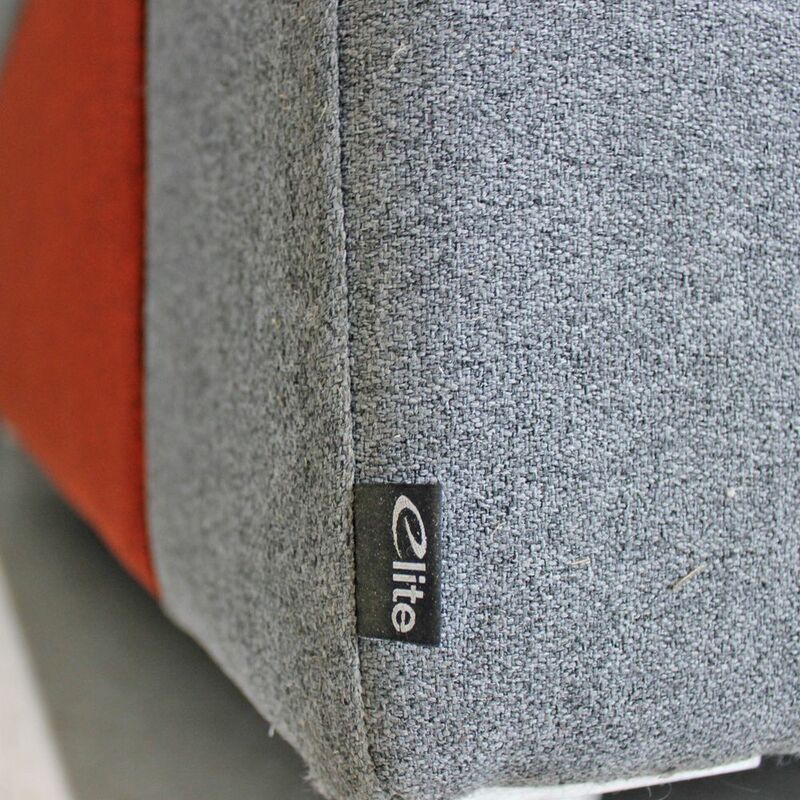 The high back of the sofa provides excellent privacy, a sanctuary within the busy workplace to concentrate, converse or relax. 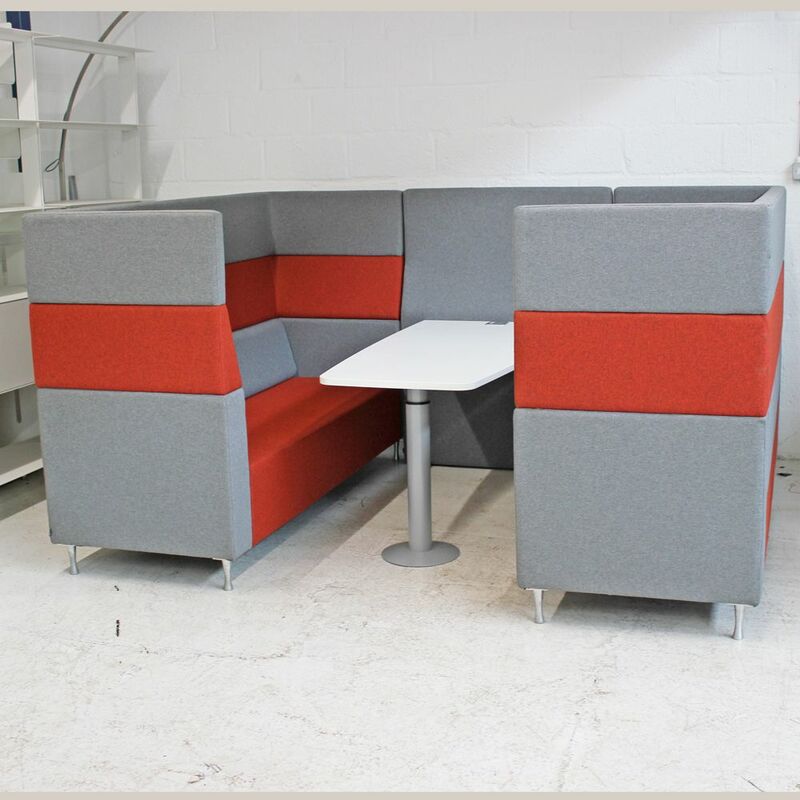 With its contrasting grey and orange upholstery this meeting booth provides space for 4-6 people whilst a central table offers a place to work. 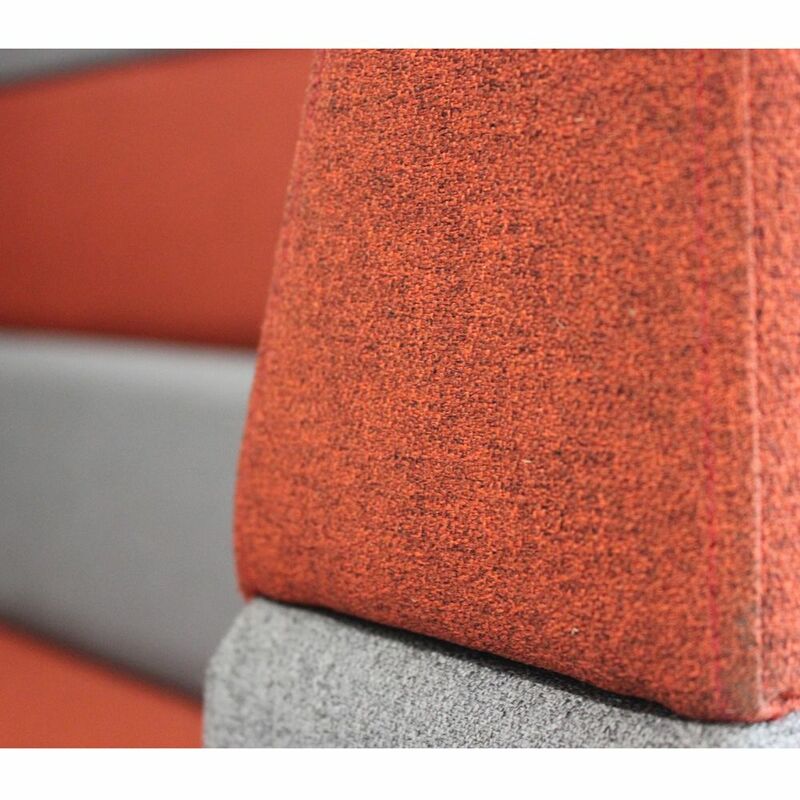 Ideal for creating private areas within offices, corridors, reception areas or elsewhere. If you're looking for quality used reception chairs like this meeting pod then Barkham Office Furniture is the place to visit. For more information on the acoustic meeting booth please don't hesitate to get in touch.